On April 28, URI’s PLEASE (Peers Learning, Educating, and Supporting Everyone) will be hosting Take Back the Night, an event that raises awareness for and supports victims of sexual assault. The event will meet on URI’s quad at 6 p.m. and is expected to be over by 9. 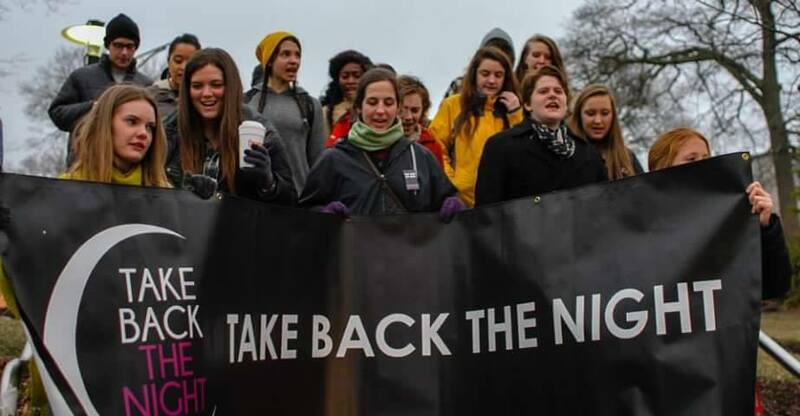 Take Back the Night is separated into three parts: speakers, a march, and a candlelit vigil. This year’s speakers are URI student author Elizabeth Miceli, who wrote the books Barren and Consumed, and spoken word artist Kal Champlain. Both women are recognized as advocates for sexual assault survivors and victims, which is why they were chosen to represent and speak at this event. Following the speakers is the march, during which the participants walk together around campus with picket signs and chanting sayings such as “No more silence, stop the violence” and more. Some of the chants are planned and some are impromptu, according to PLEASE member Henry Thompson. A candlelit vigil is held after the march, serving as a remembrance for victims of sexual assault, where “survivors speak to their experiences in a safe place,” according to Rachel Dunham, the Assistant Coordinator of Violence Prevention and Advocacy Services. “The biggest thing is that we’re trying to raise awareness,” Thompson said. Â “People always think of [sexual assault] as something that happens to a friend of a friend of a friend, or they see Lady Gaga’s performance at the Oscars.” He said that there is so much silence surrounding sexual assault, and through events like Take Back the Night, PLEASE is trying to break that silence. Hannah Woodhouse is in charge of the event this year. She was involved in Take Back the Night last year as a volunteer participant. This year, she organized the program and spearheaded the entire night herself. Take Back the Night is the main event of Sexual Assault Awareness Week, which is April 25-29. To learn more about Take Back the Night, Sexual Assault Awareness Week or PLEASE, check out the group’s office in the Women’s Center on campus.